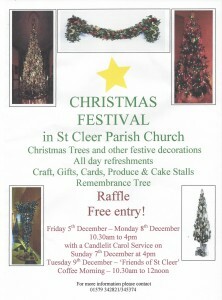 Christmas Festival in St Cleer Parish Church. Christmas Trees and festive decorations. All day refreshments. 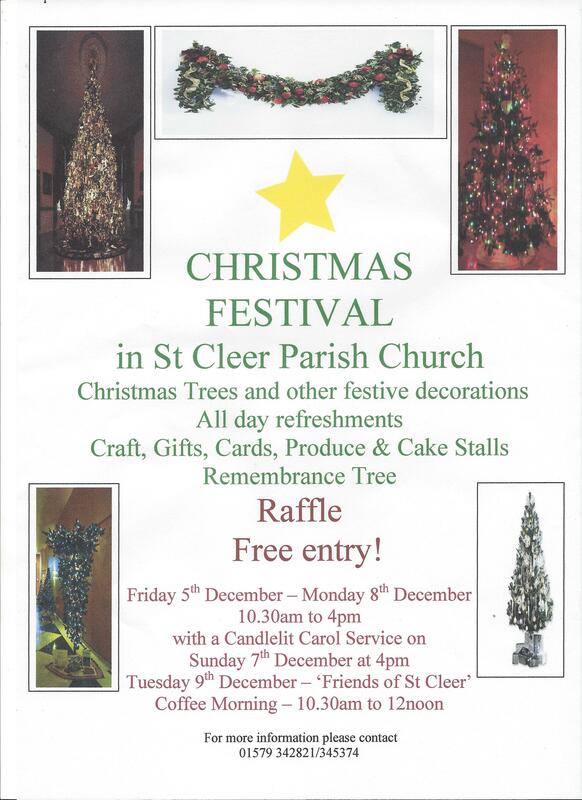 Craft, Gifts, Cards, Produce & Cake Stalls. Remembrance Tree and free raffle!